The cookies are baked; the presents are wrapped; the countdown has begun for young and old in anticipation for Christmas! Saving the best for last; your all time favorite part of the holiday -- the "cutting of the tree". The smell of fresh pine needles will add a special touch and plenty of nostalgia to your home. 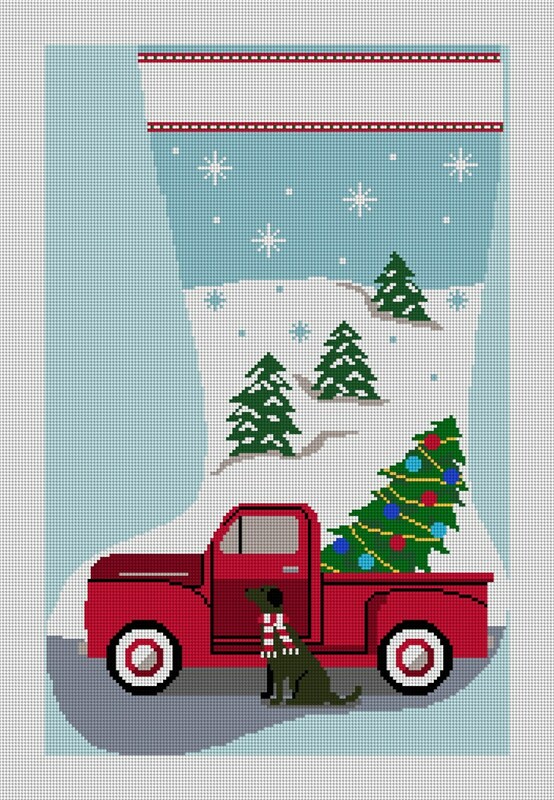 Stitch this playful needlepoint stocking canvas and create a family keepsake to adorn your mantle for years to come.